FOR TWENTY-EIGHT YEARS I WAS A FIERCE PROPONENT AND DEFENDER OF THE “PRE-TRIBULATION RAPTURE”, UNTIL MY EYES WERE OPENED. WAKE UP NOW, CHRISTIAN BELIEVER, BECAUSE MANY OF US HAVE BEEN FOLLOWING FAULTY THEOLOGY…! We as believers all want to be “snatched up” to heaven before things get too rough on planet earth. The reality, however, is that things have been “too rough” for many millions of believers around the world for centuries, including this present one. In seeking clarity of conviction upon my twenty-eighth year of Bible-believing Christianity, at the time of the ascent of ISIS in the Middle-East, I came to the realization that what I had been taught and convinced of was not really supported by deep, honest Bible study. Here then is a first installment of what I’ve discovered for myself- an excerpt from my book published in paperback and electronic form (see details at the bottom of this post*). CHAPTER 2: NOT APPOINTED TO WRATH? Usually the first subject to come up in any discussion on the timing of the rapture is the wrath of God. The whole idea of there being a wrathful God is very much out of fashion in our “post-truth”, relativistic age; in our easy-living and supposedly “tolerant” Western culture. But no true Bible believer can doubt that there is coming, sooner or later, a time of wrath on sinful mankind, when our Creator will finally put the brakes on all rebellion and godlessness in the human realm, and in the spiritual realm also. Such wrath will fall on the world during a time the Bible calls “The day of the Lord”. And since the day of the Lord is normally equated with the entire tribulation among Christians and with the entirety of a seven year period of prophesied events, the obvious expectation to many people is that believers will not be around during that time to suffer any of that wrath. Since Christians are forgiven of their sins and are promised eternal life, they will surely not be the recipients of God’s wrath. But does the tribulation-a specific time of God’s intervention on the earth just before the visible return of Jesus Christ-automatically mean wrath for every mortal living at the time? The most common defense of the pre-tribulation rapture position is taken from Paul’s phrase, “God has not appointed us to wrath” (1 Thessalonians 5:9). Adherents are most likely to quote this verse as what they believe to be an unarguable, clinching piece of Biblical evidence that believers will be taken away before the beginning of the tribulation: one which should silence any opposition. God, being a God of love, “has not appointed us to wrath”, and so he will obviously be taking us to heaven before the tribulation-the time of trouble and distress- begins. Evangelical end-times prophecy interpretation almost unanimously calls for a seven year period of upheaval and trouble world-wide. During this time the “man of sin” or “man of lawlessness”, also known as “Antichrist”, will persecute and generally rage against God and anyone “left behind” by the rapture, so people assume that the entirety of this coming seven year period entails an outpouring of God’s wrath from beginning to end and in all corners of the world, starting from the very first minute. Therefore, they say, people who get “left behind” by the pre-tribulation rapture are either nominal believers, or folk who knew something about the gospel of Jesus but failed to respond to it in time for the rapture, or others who just didn’t hear the gospel before it was too late. “For God did not appoint us to suffer wrath, but to receive salvation through our Lord Jesus Christ “ (1 Thessalonians 5:9). In this verse Paul was contrasting the wrath of God with salvation-not announcing a pre-tribulation rapture. Jesus, using the same Greek word translated “wrath” as the one Paul used in his letter to the Thessalonians, was stating that salvation from sin is found in the Son of God, but anyone who rejects that salvation is already permanently under the wrath of God. The wrath Jesus was speaking of was eternal judgment and separation from God, not the onslaught of suffering in this life or of tribulation events. “For God did not appoint us to suffer wrath but to receive salvation through our Lord Jesus Christ” (verse 9). Paul is contrasting wrath with salvation from sin, just as Jesus was. That’s the primary focus. In a similar way, Paul told the Ephesian church that when they were “dead in trespasses and sins” in their un-saved life, and when they were following “the prince of the power of the air”, they were “children of wrath, like the rest of mankind” (Ephesians 2:1-3 ESV). In contrast, he said, God “made us alive together with Christ” because of his mercy (verse 4). 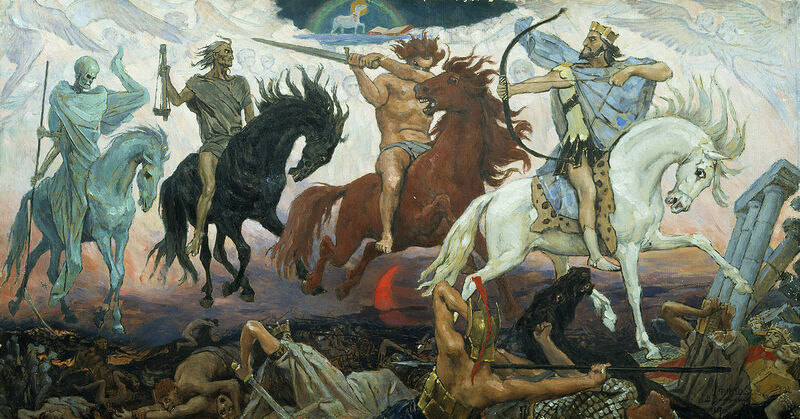 There’s no discussion of end-times events here, and the wrath of God’s tribulation did not fall in the first century. The intended point is the contrast between being saved from our sin nature, and remaining an object of wrath. Again, the Greek word translated “wrath” in this Ephesians verse is the same as that used in Paul’s letter to the Thessalonians. Yes, Paul’s subject in Thessalonians concerns being ready for “the day of the Lord”, but his way of being ready and of avoiding God’s wrath is salvation from sin through faith in Jesus Christ. If we put this much-used phrase into its proper context we see that Paul was contrasting wrath with salvation from sin-not announcing a pre-tribulation rapture. People can be prepared for the day of the Lord by obtaining salvation in Jesus. In this way, in this eternal sense, true believers are delivered from God’s wrath, and will never suffer it. “Do not be afraid of those who kill the body but cannot kill the soul…” (Matthew 10:28). Antichrist will persecute and kill “saints” during the tribulation, according to Revelation, but this will not be from the wrath of God-it will be the result of man’s wrath and of the devil. No-one but God has any power over the souls of his saints. Consider the Thessalonian believers of the first century. They died, did they not? They’ve been dead for almost two thousand years, and they didn’t get raptured while alive. But in their deaths they did not, and will not, suffer the wrath of God, but had already found eternal salvation through the gospel of Jesus Christ. They shall put you out of the synagogues: yea, the time cometh, that whosoever killeth you will think that he doeth God service (John16:2KJV). God’s plan is to deliver us from the eternal consequence of sin. This consequence is eternal separation from him, which is far worse than temporary physical suffering, and Christians have been persecuted throughout history. Not only that, but Christians have also been among the victims of plague, war, famine, natural disasters, sickness and the outcome of the Fall, just as non-believers have, and will continue to be subject to these things until the resurrection and the rapture occur. “Blessed are the dead who die in the Lord from now on” (Revelation 13:12-13. See also 14:12 and 20:4). It seems abhorrent to us in the West to consider that God would allow his people to suffer persecution, but unfortunately, that’s the history of the Church, the condition of many of our brothers and sisters around the world today, and the testimony of scripture. *THIS POST IS AN EXCERPT FROM MY BOOK, “ALL LEFT BEHIND: THE CASE AGAINST THE PRE-TRIBULATION RAPTURE”, BY NICHOLAS FISHER, AVAILABLE ON AMAZON, PAPER-BACK AND E-BOOK. THE NEXT EXCERPT WILL CONTINUE FROM THIS POINT.